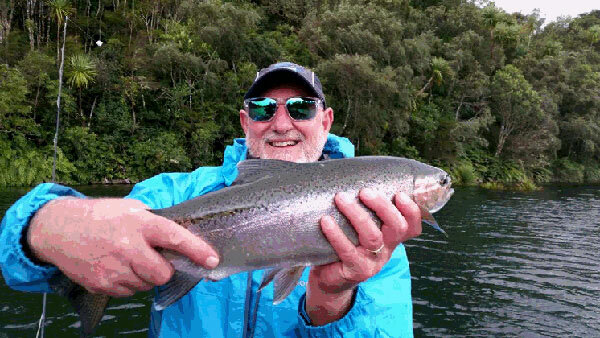 Going fly fishing in Turangi during autumn is an unforgettable experience, the locals cherish it but my overseas clients live for it. Slowly the season is changing and you can see it in the trees, the colouring in the landscape is starting to tell its own story bringing cooler nights, day by day getting closer to those frosts. March has been a red hot month for catching big fish, the feeding conditions have been right and this year we've been somewhat blessed with good rain fall and that's kept the interesting for all anglers. The rainbows are running red hot and the brownies are in sight too. Due to the big rain event a few weeks ago some fish were pushed back up stream but the spawning runs are staring to flow again and that's only going to improve as we move into April. The cooler shift in weather is going to bring those brownies out and they'll be feeding up as best they can, so after typing this I'll put the jug on pour a nice hot cup of tea and get stuck into tying more flies especially those Mayfly. It's been a busy 2017 thus far it's only now that I have this moment that I'm reflecting on the awesome contacts I've made and friends that have become family. When they come to visit NZ we often spend weeks and days at a time so you get a sense of really knowing who they are in their day to day life and in turn they feel that connection with me too. I often get asked my personal best or favoured season for fishing and I can never give a one word answer. For me I love all seasons and the change of techniques that come with it because you're fishing the conditions, you're constantly observing your surroundings and fine tuning your tactics to that. Some people believe that after the cicadas stop that the fishing isn't soo good which isn't true at all, you just become clever in making your game plan. There's still plenty of hungry curious fish swimming up stream and I find the catches in autumn the most rewarding. Bring on more of those big brownies and until next time tight lines team. 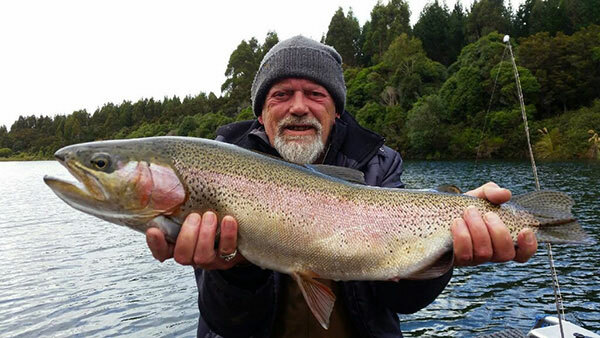 Dave Whiting from Australia Southern NSW caught this very large Rainbow Trout Fly Fishing at Lake Rotoriara close to Turangi.